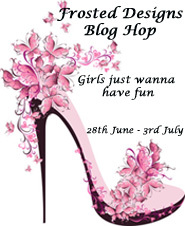 Girls Just Wanna Have Fun Blog Hop!! The best part about this.... pretty much anything that has to do with girls having fun qualifies for this one! We just want you to have fun!!! Here are some ideas.....Mums, daughters, girlfriends, sisters, mother in laws, could be any photo you've had with any other lady in your life, a photo you have with mum on your wedding day, or you and your daughter on a holiday, even a party with the girlfriends, the list goes on. If it's a card or OTP project, it just has to be girly, the more girly the better. 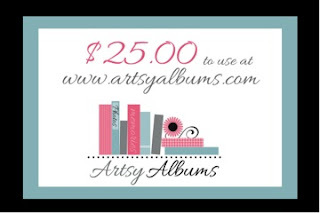 The first sponsor is Artsy Albums!!! My name is Traci and I have been creating scrapbooks since I was in high school. I have also been married to my high-school sweetheart for 24 years and we have two wonderful boys -- one in college and one in high school. After a 17 year career in the pharmaceutical industry that just didn't tap into my creative side enough, I retired and went to work in the scrapbook industry. I have enjoyed designing albums, store samples, classes, and kits so much that I recently decided to take a leap of faith and open my own company. Artsy Albums is a product of a deeply rooted passion. After losing my mom to breast cancer when I was a teenager, I learned the importance of our memories, the pictures we take, and the stories that may never get told if we do not document them. I truly love to create beautiful albums that focus on the photos and the stories behind them. I also enjoy creating mini album kits that are fun to put together, easy, and affordable. If you love to scrapbook, try an Artsy Albums kit to create your next project! And secondly we have Cheryl from Scraptownlady. Welcome to Scraptown Lady - Scrapbooking Supplies from The Ozarks! Scrapbook supplies at prices you can afford. Scraptown Lady is located in the Branson, MO area near Forsyth, Missouri in The Ozarks. Cheryl has been a scrapbooking enthusiast for several years and not only offers great deals on scrapbooking supplies, but also holds classes where you can hone your art. We offer such products and services as EVENTS AND CLASSES, ADHESIVES, EMBELLISHMENTS, TOOLS, INKS, CHALKS & MIST, PAPERS, READY FOR ART ALBUMS, TAGS, CHIPBOARD AND WOOD, DIES, STORAGE, RUBBER, CLING, SILICONE & CLEAR STAMPS, EMBOSSING INK, POWDERS & FOLDERS, GLITTER, RIBBON, LACE & FIBERS, PAPER AND FABRIC FLOWERS, DECOR ITEMS, PAPER TAPES, BLANK CARDS AND ENVELOPES. All of these supplies can be purchased here on our site. If you aren't able to find that special something, let us know and we will be happy to special order something for you. What makes our store extra special is the fact that we do not charge your credit card until we have found the very best possible shipping option for your purchase. Often times with other sites, you end up spending more on shipping costs than you do on the actual product. We take pride in had processing each and every order to keep your costs down. Tell a friend or neighbor about us. If you place an order between now and Sunday at 11:59 pm you can use CODE20 for an extra 20% off your entire order! Scraptown Lady is offering a $25.00 Gift Card to her shop! I bet at this point you are asking yourself.... what do I need to do to win one of these prizes?! Well, let me tell you! 1. You need to hop to every blog on this list. 2. Leave a comment here telling us that you completed the hop. 3. Complete a Girls Just Wanna Have Fun Type of project and link it up to the inlinkz on this post! That's it! Easy as 1, 2, 3!! Some of our Designers are also giving away prizes on their blogs so you have a lot of opportunities to win!! Here is the order of the hop.... Have fun!! Also... It appears that Google is doing away with our Followers feature in a few days... we would LOVE it if you followed us using bloglovin'!!! wink, wink! Visited all the DT members blogs. Such beautiful creations are made on the theme. My layout will follow in few days time. It was a fun Blog Hop and such beautiful projects. Will be working on a project and posting it soon. I just finished the hop and wow! - so much inspiration! Hope to have my layout done soon. I just finished the hop~Fabulous projects by everyone!! I'm so happy I took the time to hop on through! So many talented girls creating such beautiful girly -girl projects! Thanks for sharing...gotta go and create my own! All the ladies did such a wonderful job and have amazing talent. thank you for sharing. Beautiful creations and inspiration from all the DT great hop! Yeah!!!! My first blog hop completed. Now I just need to do the project. The projects I have seen on the hop is amazing. Thanks for sharing it all!!!! I have completed the blog hop! Such amazing inspiration!! O.K. you got me hooked!! Girls just wanna have fun....and I did creating this lay out! Thanks for the amazing inspiration and a most enlightening blog hop! What a great blog hop, I have gotten some inspiration and loved looking at all the different projects. 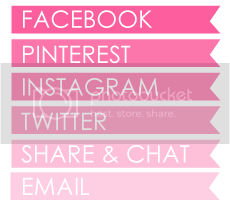 I have created a girly card to share. Hi! I completed your blog hop on Saturday and I have now completed a layout of my grandmother who is 87! I will upload it soon! Thank you for the fun!! Fun blog hop I had a great time visiting the blogs and getting inspired !! Thank you it was great !! I submitted my girly thank you card ! Okay... I have finished the hop!!! Nothing like waiting for the LAST minute!!! Hahahaha!!!! You girls did a fabulous job with this one... LOVED seeing all your wonderful creations!!! Thanks for the opportunity to win some fabulous goodies!!!! I was able to leave a comment on all but Sassy's since Goggle is giving me a hard time. I was able to comment on Sassy's page now.